Sometimes you may wonder if you will have twins. What are the signs? How do I know if my partner will conceive twins? Firstly, we have to know what causes one to conceive twins. 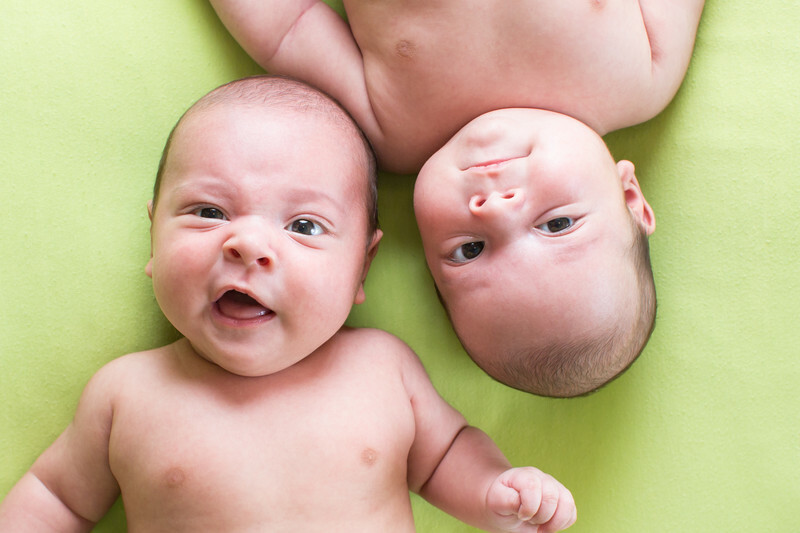 Fraternal twin birth is linked to Hyperovulation. Hyperovulation occurs when a woman’s ovaries release more than one egg during each cycle. This can increase the chance of fraternal twins, triplets or more. It’s possible for hyperovulation to happen in just one ovary, or involve the release of more than one egg from each ovary. Some women are predisposed to hyperovulation, which is why fraternal twins commonly run in the maternal side of some families. Some herbs and alternative medicines, such as cassava, have been thought to increase hyperovulation in some women. When a woman plans to donate her eggs or undergoes IVF treatment, she’ll be given hormonal stimulants to allow her body to produce multiple eggs, which are then removed for fertilisation. Women who have medical conditions such as PCOS, may experience missed periods which are then followed by normal fertile cycles which release multiple eggs. Recently ceasing birth control: As a woman’s cycle readjusts, she’s more likely to release multiple eggs. Many women are more fertile or more likely to conceive twins, immediately after coming off birth control. When you notice yourself hyperovulating, then you are very likely to have twins. Find out signs of hyperovulatio below. What are the Signs of Hyperovulation? Two ovulation days, including two days of fertile cervical mucus, 2-3 days apart. A larger amount of cervical discharge than normal. The only way to definitively tell if you are experiencing hyperovulation is by undergoing an ultrasound during your ovulation dates to identify if multiple follicles are maturing in the ovaries. When you find out you or your partner is hyper-ovulating then you will know you are most likely going to have twins.